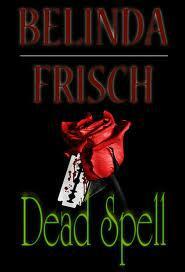 I expected a lot more from Frisch’s debut novel. While an indie author she has been published in several small horror fiction magazines so I thought this book would prove an even more intriguing read than Polson’s “House Eaters” and I was looking forward to diving into it. Sadly the book did not deliver in the way I expected. 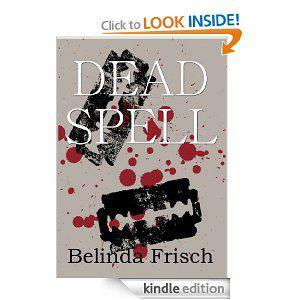 While Frisch seems to be devoted to the horror genre I actually found the contemporary-YA aspects of her book much stronger than her horror element. I think Ms. Frisch has an unanswered calling to YA fiction and I would love to see her write something with a core issue of friendships or relationships with a less important horror element. Harmony is hearing voices and as the daughter of a paranoid schizophrenic no one is surprised, but unfortunately for Harmony the voice she’s hearing is real. She is being haunted by the ghost of a man named Tom who seems to be trying to kill her for reasons Harmony just doesn’t understand. Harmony’s best friend Brea is the only one who knows what’s going on and she takes on the task of trying to figure out just who this ghost might be. As Brea gets deeper into the case she begins to discover that Tom and Harmony may have been closer in life than in death, and Harmony and Brea might share more than Brea’s mother is letting on. ghost story aspect very intriguing, in fact, the whole supernatural element really falls flat after the first several chapters. What Frisch does well in this book is the relationship element between Harmony and Brea. The friendship of these two girls is true to live and the grief Brea feels when that friendship is lost is described beautiful. I almost wish Frisch had turned this into more of a YA mystery than a supernatural tale because the real-life dynamics of this book are by far the strong point. The book takes a few interesting turns near the end and while they aren’t quite as well developed or foreshadowed as they could have been they do not disappoint. A little more care could have been taken with the editing and there are quite a few typos, misplaced quotation marks, and some issues with tense switching. If these are issues that would distract you from the plot you may want to pass on this one. However, I think Frisch has shown some great potential with this book and there are quite a few touching moments throughout the text that make reading it worthwhile but it would be greatly improved by some editing.